Khedut i Portal Website Here we will discuss on an iKhedut online registration form, application status check and Kisan Call Centre toll-free number. The official website is www.ikhedut.gujarat.gov.in. With a view to helping farmers of Gujarat with better agricultural growth, Government of Gujarat has introduced i-Khedut web portal. 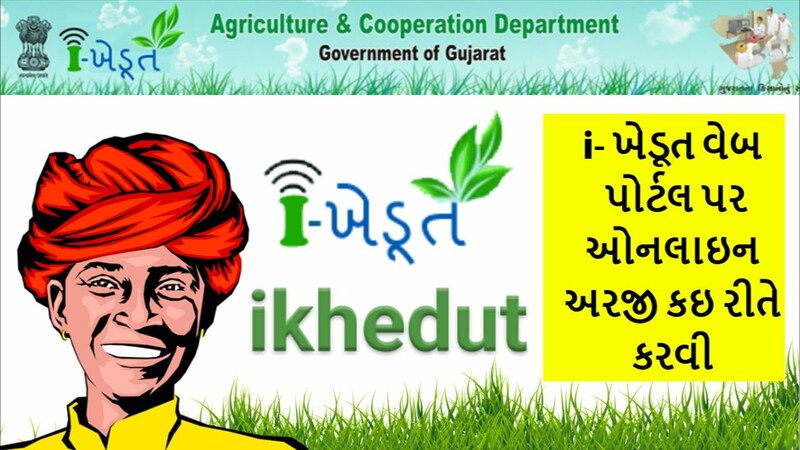 i-Khedut provides all the information related to agriculture at the touch of fingertips. The portal also provides information about the welfare schemes of government as well as the market price of different agriculture products. The portal is implemented and run by Agriculture, Co-Operation and Farmer Welfare Department of Government. Online Application: There are various welfare schemes for farmers implemented by various agencies such as co-operative societies, agricultural boards, corporations, government institutes etc. With a view to avail benefits of all these schemes to farmers easily, i-Khedut allows online applications to get benefits of schemes. Applicants can take print of the application as well as check status of the application. Details about agriculture needs: Farmers can access information regarding dealers of pesticides, fertilizers, seeds etc. Dealers can update information about their product and supplies. Farmers can check for the availability of products, price etc through the portal You can access details about various loans provided to farmers by different banks. List of the finance providers and their addresses can be accessed at the portal. Methods of farming: Farmers can find information regarding methods of farming according to the climatic zone, modern methods of farming, pest-control etc. Information regarding cattle farming, fishing etc can also be accessed. Weather information: On-time weather prediction helps farmers to a great extent to plan about farming, irrigation, and pest control. Farmers can access weather forecast at i-Khedut. Solution to queries: Many farmers have various questions and they need guidance regarding what crop they should go for, watering plants, pesticides, cattle farming etc. At i- Khedut, farmers can find solutions to their queries. APMC Price: Farmers can find out APMC price of various farming products. In addition to all these services, 7/12 details of agriculture land situated in any village of the state. Government circulars regarding agriculture can be accessed at the portal. Various portals can also be downloaded. The i-khedut portal offers various benefits to farmers. Now they don’t need to go to agriculture centers for different agricultural needs and reasons. They can access lots of information at their finger tips. They can apply online. Their various queries are answered online. They can get weather information which can be very helpful to take decisions for their farming activities. i-Khedut is a very good initiative from Government of Gujarat. It has made various chores related to farming much easy to farmers. ikhedut registration software download on official website for more information plz. www.ikisan.gujarat.gov.in now known as www.ikhedut.gujarat.gov.in government name cange by govt.